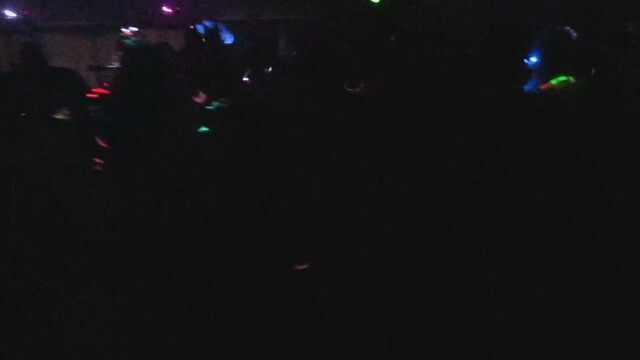 My new year’s eve was all about GLOW IN THE DARK JOY!! I am so pleased that I have learned how to create my life on purpose… and that includes getting to do my two favorite things together on New Years Eve: be with my kids and family AND DANCE DANCE DANCE!!! Here is a quick video of the glow in the dark fun we have with our kids… we have managed to find a place, where my kids want to go, and if family friendly, and yet you get to dance too! The joy I feel when dancing is supreme, and the other thing I love, is the joy that everyone else in the room is feeling. This is an atmosphere of pure joy, full self expression and light! Life is all about these things. Enjoy the happy video! RICH BLESSINGS of LIGHT and JOY to you in 2012!